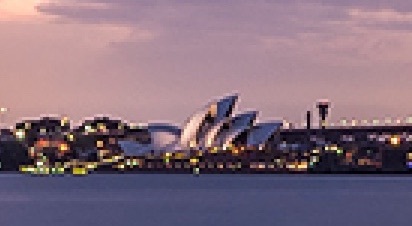 Here’s a zoomed-in look at the Opera House; the differences are now plainly obvious. Again, drag right to see more of the 2560px version; drag left for the 5120px version. Keep in mind that this is just a tiny snippet of a massive image; that bit of fuzziness on every item in the entire scene gives the image a “soft” feel that I don’t like at all. So as much as I liked my current collection of desktop images, it was time to go searching for more pixels. After some digging around, I found a few sources for 5K desktop images. Interfacelift doesn’t have a huge collection (134 images), but what they do have is quite spectacular—especially if you’re fond of landscapes and cityscapes. 97 images at Wallpaper Abyss. And, of course, you can always just try a specific image search on Bing or Google. If you use Google, you can narrow down the results by clicking on Search Tools, then Size, then Exactly, and entering the dimensions you want to see—5120 wide and 2880 tall in this case. I’m sure not everyone shares my fascination with stunning desktop imagery…but if you do, these resources should provide many new images for your collection.